Obviously, I'm a total makeup junkie. This blog is clear proof of that. But I do have some self control when it comes to buying new makeup products - or at least, I've developed some over the years. I don't necessarily have an automatic reflex to buy every new palette that comes out. I am a sucker for cute packaging, but I have learned how to talk myself out of purchases no matter how pretty they might be based on things like already having similiar colors in my collection ... or just not having enough room in my drawers for another huge honking palette. However, despite my slowly developing self control, I've realized - and come to accept - that any time the Balm puts out a new palette, I will, without fail, purchase it. 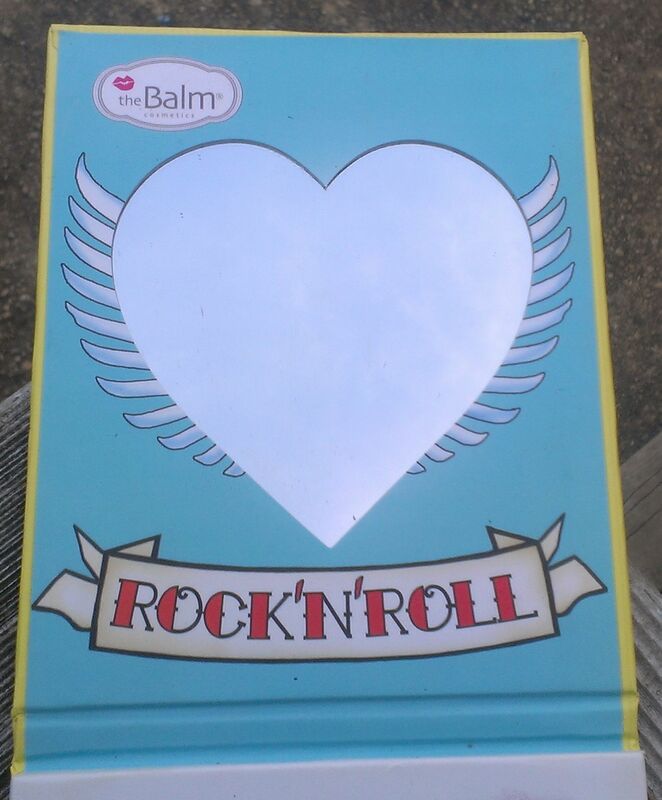 It's the amazing quality of all of the Balm's products, their super cute packaging, and just some indescribable thing about the brand that resonates with me in a big way. 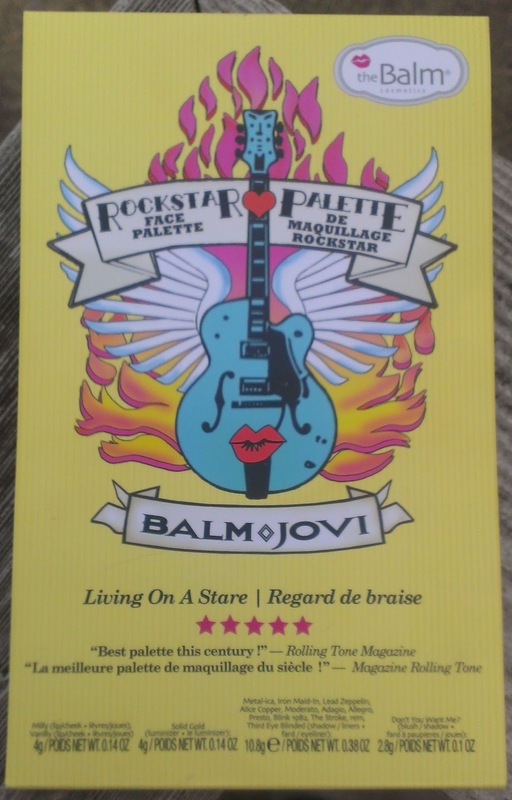 So as soon as I heard about the Balm's new Balm Jovi Rockstar Face Palette, I knew I'd be buying it. But the music theme of the palette probably would have convinced me anyway - besides makeup, baseball, hockey, and anything having to do with Vegas, music is my biggest obsession. The Balm pulls off the theme pretty successfully with terrific artwork and adorable shade names. It also has a super cute heart-shaped mirror on the inside that's big enough to do a full face of makeup so it's defnitely convenient for travel. But let's get to the real nitty-gritty - the makeup itself. The palette contains12 shadow/liner shades for a total of 10.8 grams of product. 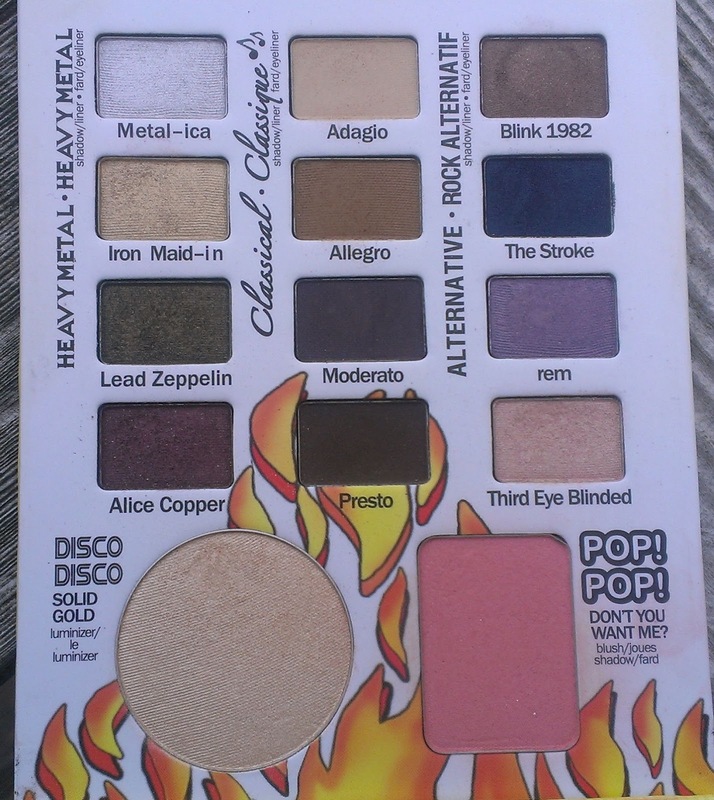 The shades include Metal-ica, a shimmery pale sliver; Adagio, a matte beige shade; Blink 1982, a soft purple brown with slight gold shimmer; Iron Maid-in, a shimmery rich gold; Allegro, a matte warm brown; The Stroke, a deep dark navy with a satin finish; Lead Zeppelin, a shimmery olive green; Moderato, a matte eggplant; rem, a shimmery medium purple; Alice Copper, a shimmery burgandy with copper glitter; Presto, a matte dark brown with maroon undertones; and Third Eye Blinded, a shimmery light peach. 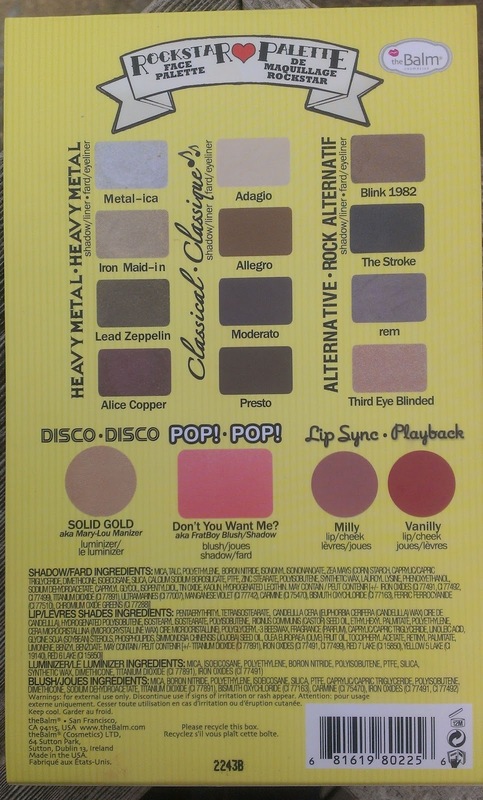 The palette also contains Solid Gold, a luminizer (4g), and Don't You Want Me? (2.8g), a blush. These are actually products from the Balm's regular line just renamed. Solid Gold is the famous Mary-Lou Manizer, a shimmery light golden highlight, and Don't You Want Me? is Frat Boy, a matte peachy blush. In addition, Balm Jovi offers two lip and cheek colors, Milly and Vanilly, for a total of 4 grams of product. Milly is a natural medium pink shade, while Vanilly is a bright vibrant red. As I mentioned, I was going to buy this palette from the word go, but what I love best about the Balm is that even when I buy from their line based solely on pretty packaging or a cute gimmick, the product itself delivers above and beyond my expectations. The Balm Jovi Palette is no exception. My palette arrived last Tuesday, and I have worn it everyday since so I think it's safe to say that I'm in love with it. 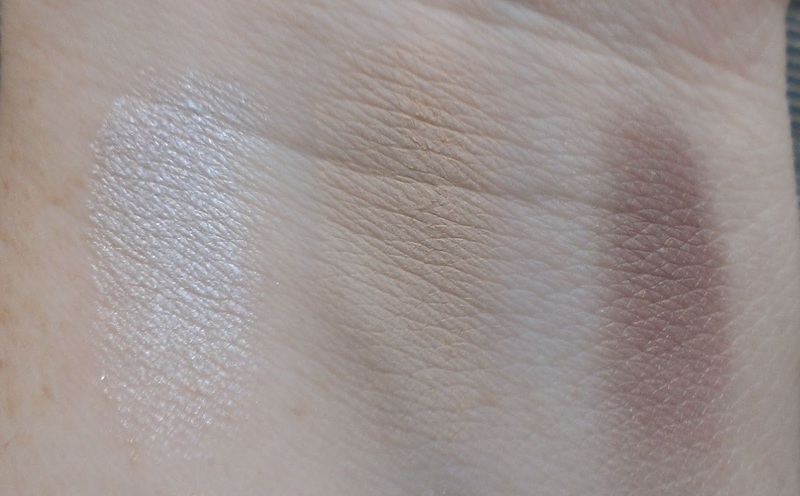 Like all of the Balm's shadows, the formula here is, for the most part, outstanding. 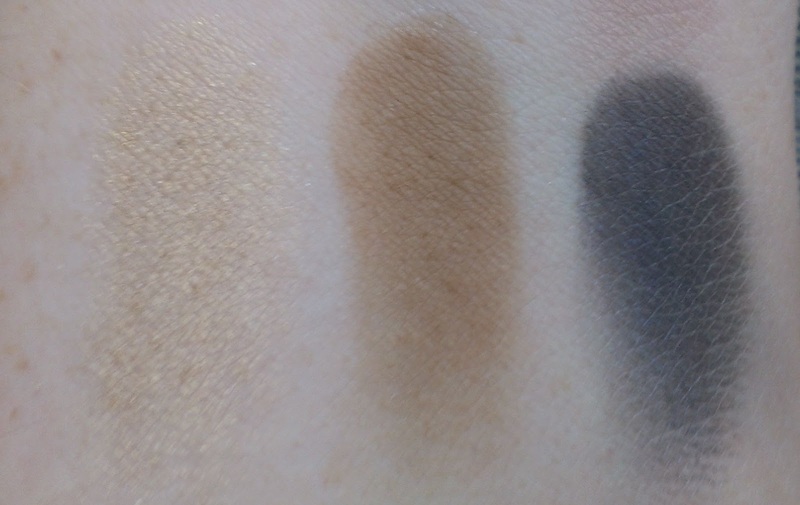 They are a couple of shades that are somewhat sheer like Metal-ica and Iron Maid-in, but the colors are easy to build up with a couple of layers. 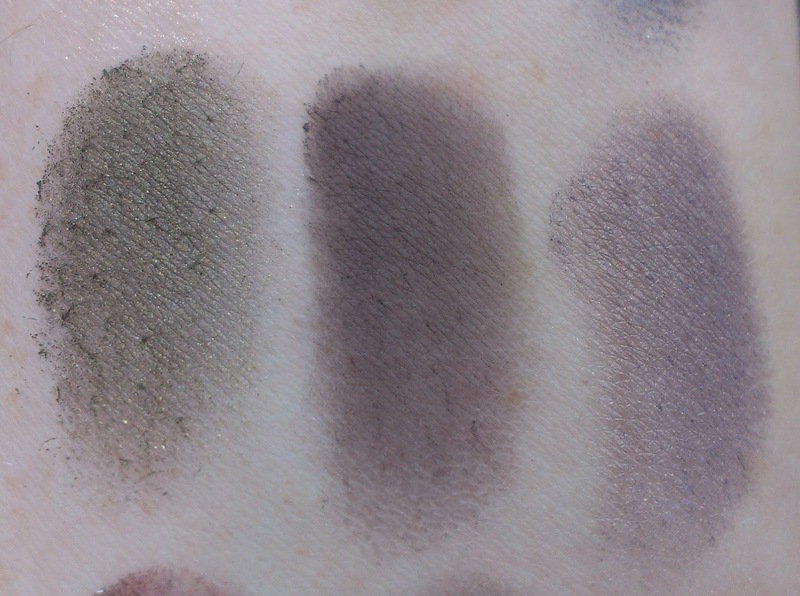 Otherwise, the shadows are all nicely pigmented and super smooth. 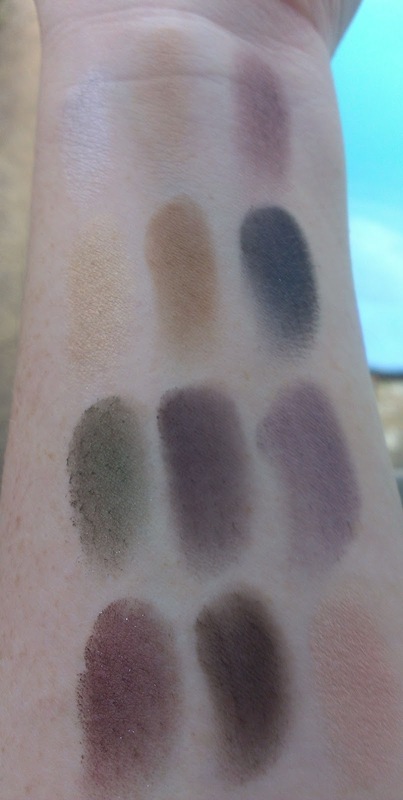 In particular, the matte shadows stand out. The Balm finally seems to get the message that shimmery shades are beautiful, but you need a few good mattes to balance out a look - you get four here, ranging from Adagio, a perfect skin tone highlight shade, to Allegro, a nice medium brown that makes a good transition color, to Moderato and Presto, two deep dark shades that are ideal for the crease. 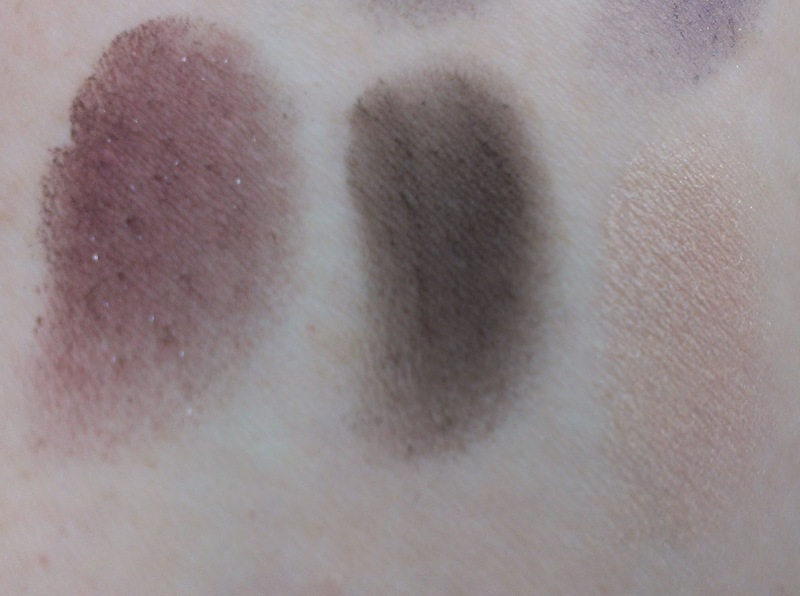 Still, my favorite shades in the palette are shimmery ones. Alice Copper is a stunning shade that is just absolutely perfect for fall. 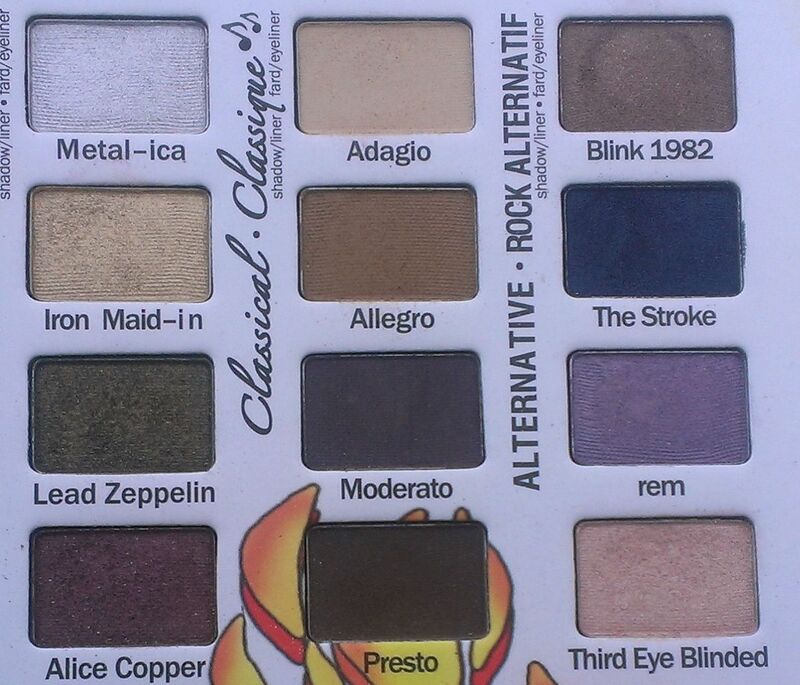 Lead Zeppelin and Blink 1982 are also gorgeous shadows for the season - really the entire palette seems perfect for fall and winter - but my favorite shade in the entire palette is Third Eye Blinded. It's a peachy shade. What did you expect? As far as the face products go, I'm a devoted fan of the Mary-Lou Manizer, so I love Solid Gold. 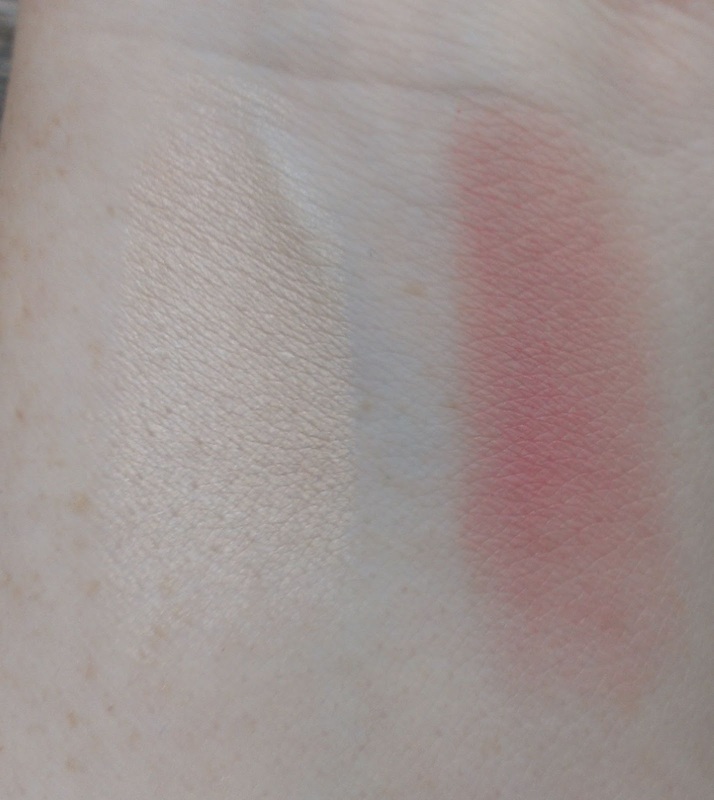 Likewise, Frat Boy is one of my favorite blushes in my entire collection so Don't You Want Me? is also a hit. I suppose I could be disappointed that the Balm chose to include two existing shades in the palette instead of offering new ones, but I'm already thinking about travel and how nice it will be to be able to have both of those products plus a ton of shadows in one convenient palette. I'm not the biggest fan of the lip and cheek colors - mainly because I don't like mixing cream and powder products in one palette. Inevitably, the cream products become dotted with fall out from the powder items. The Balm tries to avoid this by putting the two cream colors at the bottom of the palette with their own little flap but I've still gotten some powder in them. The cream colors are fairly nice, though I prefer to use them strictly as cream blushes because I find them slightly drying on the lips. 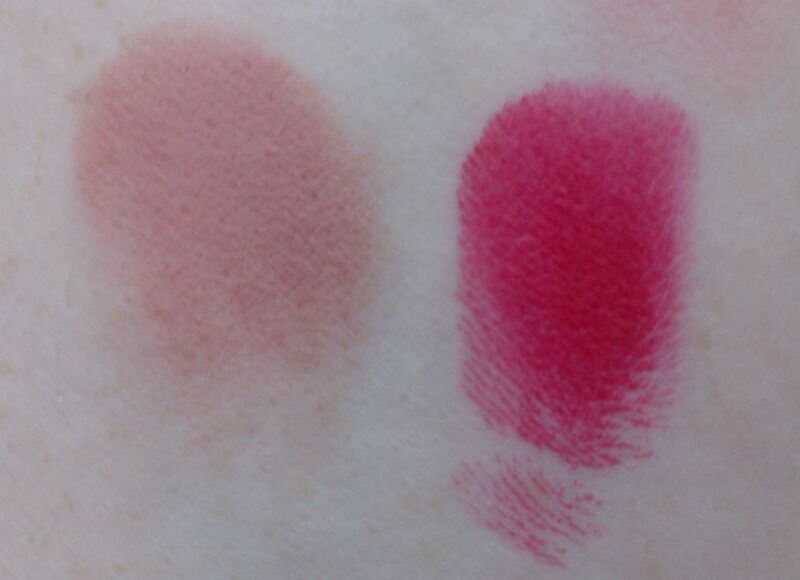 Milly is a nice, natural pink shade, while Vanilly is a seriously pigmented bright red. Stunning, really. My favorite look from the palette consists of using Solid Gold in the inner corner, Third Eye Blinded on the lid, Blink 1982 through the crease, Alice Copper in the outer corner, Adagio as a brow highlight and Presto as a liner. Paired with Don't You Want Me? on the cheeks and a little of Solid Gold along the tops of the cheeks bones, and it's a gorgeous look that totally feels right for autumn - and makes my blue eyes pop like nobody's business. Considering the amount of product that you get, the quality of said product, and the adorable packaging, I think this palette is a steal at $39.50. I absolutely recommend it to anyone who loves the Balm - or great eye shadow, peachy blush and a stunning highlighter. What new palette are you most excited about these days? This was on sale for $25 at Birchbox, and I checked out your review before buying it. I'm so glad I did! It looks like a complete steal for $25, including shipping. I can't wait to experiment with it!